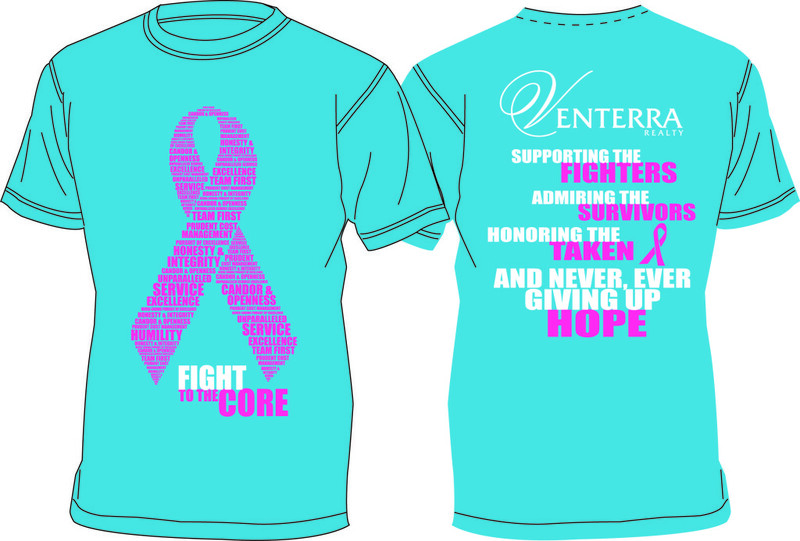 For the past 5 years, Venterra has taken casual Fridays to a whole new level…one that raises breast cancer awareness. Our property team members wear a t-shirt with jeans on Fridays to raise awareness and show our support for Susan G. Komen for a Cure. We have had different t-shirt designs and colors each year but our goal remains the same: to end breast cancer forever. 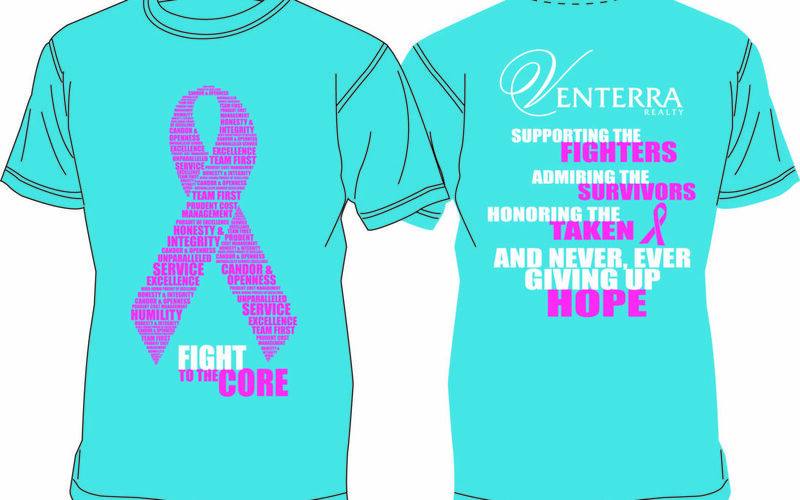 Venterra’s success is rooted in our Core Values and this year’s design includes our Core Values forming a pink ribbon. We are proud to introduce our 2013 ” Fight to the Core” shirt. Honesty and Integrity – The highest standard of Integrity and Honesty will permeate all of our actions. Humility – We are always learning. We will not allow personal or corporate arrogance to get in the way of progress and success. Never-ending Pursuit of Excellence – We take pride in what we do and our pursuit of a “Better Way” never ends. We have an intense sense of urgency in everything we do. Candor and Openness – We will respectfully tell each other the truth; both the good and the bad. Politics will not be allowed to get in the way of our pursuit of excellence. Unparalleled Service Excellence – We aim to be the standard of service excellence against which others measure themselves in our industry. Team First – While we encourage and reward individual achievements, we make team success a priority. We will make personal sacrifices to ensure the team succeeds. Prudent Cost Management – We will make careful and sensible value-based decisions about all money and other resources entrusted to us.